It’s fair to say Facebook hasn’t enjoyed the easiest year so far. CEO Mark Zuckerberg has faced a torrent of questions and accusations about the integrity of the organisation he founded when it comes to its collection of personal data following the Cambridge Analytica scandal. As such, Facebook is starting a damage limitation campaign of sorts across a spectrum of areas in a bid to maintain its dominant standing globally – including changes to its APIs. Instagram has also stepped up and made a similar statement with regards to its API, indicating that the major social media platforms are starting to change the way they operate in this space. First things first – what’s an API? APIs – short for application programming interfaces – allow developers to access an application or service’s data, and thus crack on with building products like apps for example. Any app you use which interacts with social media in some way will have been created using an API. That means that any changes to these APIs are sure to have a big impact. So, if you’re a retailer with a Facebook or Instagram app that’s been pretty successful to date, don’t underestimate the impact these API changes could have. Not many companies will have built an app directly using Facebook and Instagram’s APIs. Most will have used a third party to do this. But those third parties will have used the API. So ultimately the impact is the same. Event APIs – Apps will not be able to access guest lists or posts on an event’s wall. Groups APIs – Apps will require approval from both Facebook and a Group Admin before gaining access to groups on Facebook, and see things like member lists for example. Pages APIs – Only apps with what Facebook describes as ‘providing useful services to our community’ will have access to posts and comments on any page within Facebook. Any app wanting to do so will have to have Facebook’s go ahead. 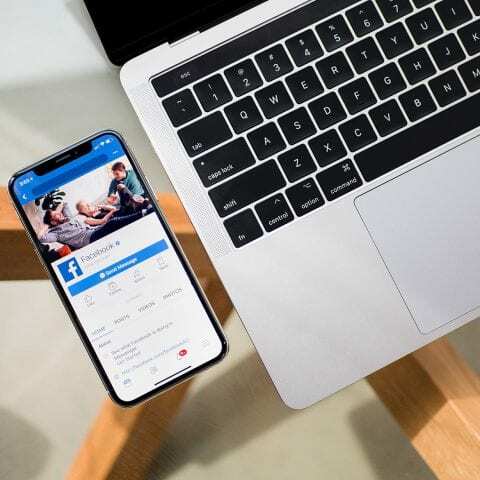 Facebook Login – Facebook is tightening its review process for apps that request access to information such as check-ins, likes, photos, posts, videos, events and groups. Instagram Platform API – Part of this has been deprecated on Facebook. There are a few other bits and bobs too, more information on which can be found in Facebook’s Newsroom. From the perspective of retailers, these changes are not only worth knowing about, but should be thoroughly reviewed to see how they might affect your own Facebook or Instagram app. You might be using a third-party app to better manage your Facebook or Instagram presence for example. If this is the case, don’t hesitate to reach out and find out if the API changes will change anything for you. If the impact is quite severe, then a consideration of how you approach your social media marketing and your overall digital strategy might be worthwhile. As well as the API changes, Facebook has also updated its data policy, made it easier to find its privacy controls, and created a pop up that encourages users to review details about advertising, face recognition and the information they’ve chosen to share in their profile. It’s clear that there’s a changing of the tides around data, with both Facebook and Instagram seemingly taking steps in a positive direction. Need more guidance when it comes to your Social Media Marketing strategy? Get in touch with a member of the Un.titled team today on 0116 326 0090 or say [email protected].